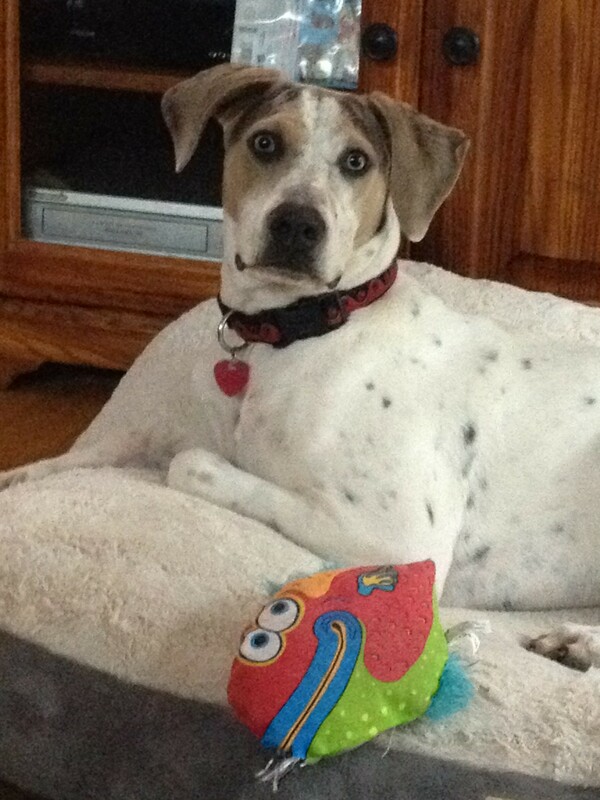 Temporary Home Needed for Flood Victim Dog! Satellite view of Gayla and Mike’s home shows just how close their home was to the river. However it was well within the 27 foot flood level safety distance. Memorial Day weekend is typically filled with vacationers arriving from all points to spend the Holiday weekend enjoying family and friends in the gorgeous Hill Country of Texas. Hill Country vistas, rivers and lakes are scenic change from the brick and concrete of the city. In Wimberley, Texas, a small gem of a town located right smack-dab in Hill Country, vacation cottages dotted the banks of the Blanco River. Higher up the river bank were homes with gorgeous river views. Vacationers with long-established traditions of Memorial Day family reunions, vacations and visits with friends, gathered to enjoy the weekend. The days of rain did little to discourage them. To add to the summer fun, the traditional Memorial Day Rodeo was ready to start. Horses, riders, cattle were all gathered together staying at the grounds, RV parks or with friends. 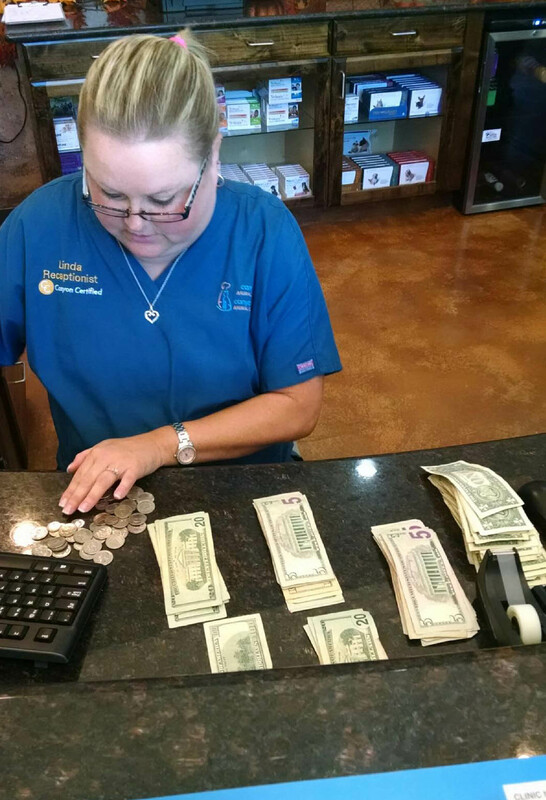 Wimberley’s population swelled with vacationers, sightseers, rodeo participants. Everyone was looking forward to a fun-packed three-day weekend. What started as a festive, fun-filled weekend ended in disaster for vacationers and residents alike. As the rains continued on and off throughout Friday there was concern that the Rodeo grounds might be too hazardous for horses and riders. Vacationers settled into their cottages, looking wistfully up towards the sky as the rain continued. Residents along the river banks may have been slightly concerned but most had been through this before. No cause for alarm, their homes were a safe distance from the flood water level of 27 feet. As the night wore on people prepared to for sleep. Around 10:30 PM Saturday night, May 23 the rain turned fierce, pelting the ground, the river, the riverbank, rooftops, automobiles. Then something odd happened, it was as if the sky opened up and just starting pouring down buckets of rain, not intermittently — but non-stop. The sound of water hitting everything below was everywhere. By 11 PM the river had already risen beyond its normal flood level of 27 feet. Within the next 20 minutes the Blanco River rose a frightening 43 feet! The swollen river spread out far beyond its normal path, reaching heights it had never reached before. Roaring as it went the river capsized homes, uprooted old-stand Cypress trees, ripped off bridge railings, tossed aside automobiles. It destroyed anything in its path. The communities are still rocking from the destruction. Homes were lost, possessions were lost but more important irreplaceable lives were lost. 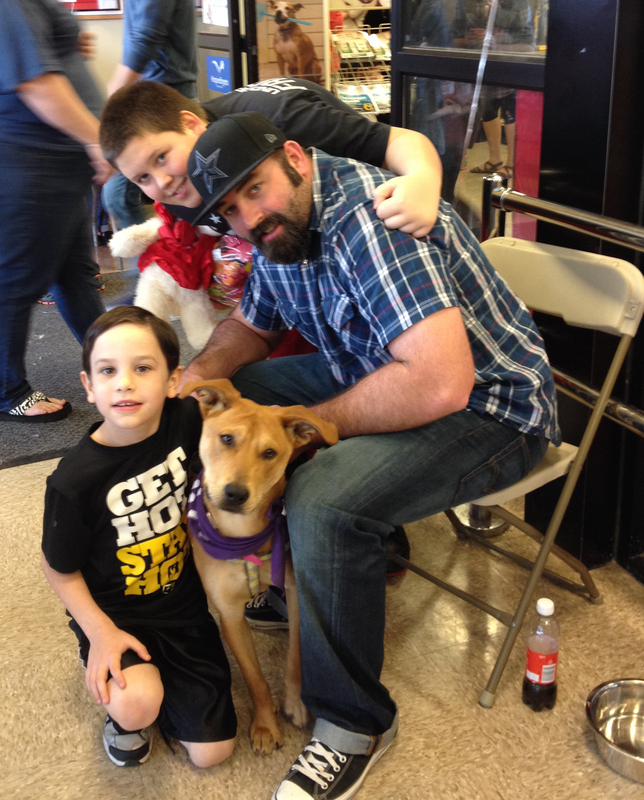 Mike and Gayla were thrilled to have Sienna as a family member. In the aftermath of this disaster people are attempting to rebuild their lives. Like many families, pets are part of this life. The total number of family pets killed, missing, injured, etc. has not been counted — naturally this pales in comparison to the number of human lives lost. By June 9 the death toll was at 12 dead with 2 children missing. 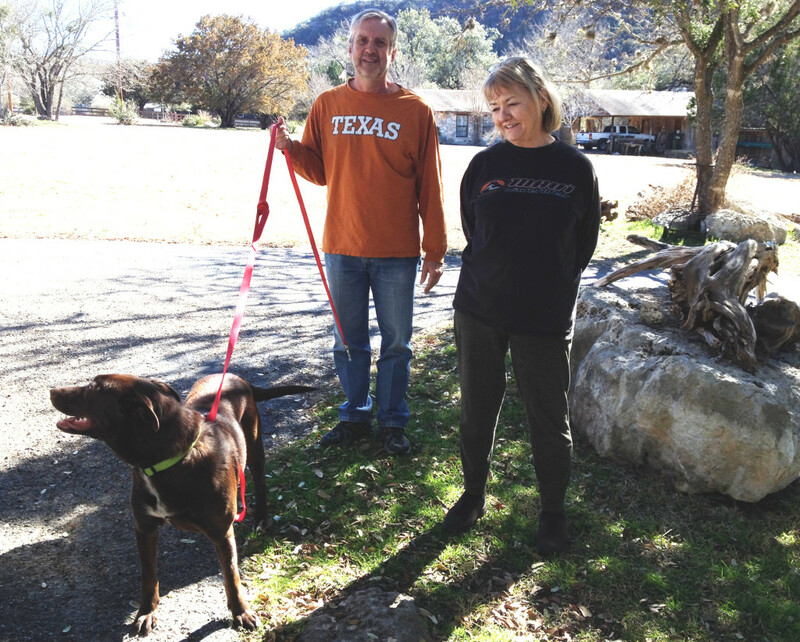 Like all small towns, Wimberley gets to know its own. It would be difficult to meet someone in Wimberley who didn’t at least know of someone who had been affected by the flood. In the middle of all this is a special family known to Texas Animal Guardians. 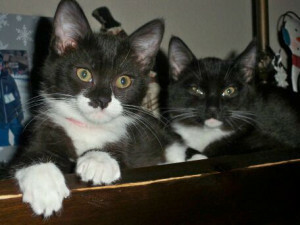 They are Gayla and Mike, adopters of a dog that TAG named Sienna (due to her lovely fur color). Sienna was embraced by the family because she loves the water. As it turns out Gayla and Mike lived directly on the banks of the Blanco River with their two cats. 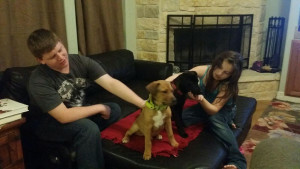 They felt that the dog would make a great addition to their family, which included two lovely granddaughters. 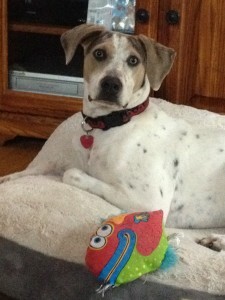 Sienna landed in a great home with lots of love and activity. Swimming at the river was part of her routine now, being hugged on by the girls was too. Best of all, she had a home to call her very own. The family made certain the rambunctious dog got training. It was a family affair with everyone attending the training classes. And, it was a time of growth for Sienna as well, learning boundaries and rules. She flourished in this environment. Sienna flourished in her new home environment. The night of May 23, Mike and Gayla retired to bed as usual, their kitties were snuggled up with them and Sienna laid down in her usual spot by the bed. The rain was gaining momentum but they had weathered these storms before. Oddly enough when Sienna first came to live with them, Gayla mentioned that the last flood had flowed right up to the kitchen door, a bit too close for comfort. That night they awoke to a terrifying event: their bed was floating. Sienna and the cats were paddling around. Both Mike and Gayla reacted quickly, grabbing Sienna by the collar to keep her from floating away and a cat (the only one they could catch). With the cat and Sienna in tow, they scurried for safety to higher ground. The details of this flight are a bit hazy but they were safe, Sienna and one cat were with them. Reality set in quickly, they’d lost everything, their home was ripped from its foundation, utterly destroyed. Their vehicles were gone. A household full of memories, possessions, irreplaceable treasures — lost forever. But they were alive. At that moment it was something to be grateful for. After that, the daunting task of rebuilding began. They’d have to start all over again. With no place to live they feel blessed to have a roof over their head, offered to them by a generous person. Their primary concern is Sienna. The building process will take up to a year. In the meantime, Sienna’s got no place to go or to live. It is one more worry on top of so many for this couple who have already been through so much. Therefore we are sending out a plea of help, if anyone can keep Sienna as a temporary “long term” foster please let us know. 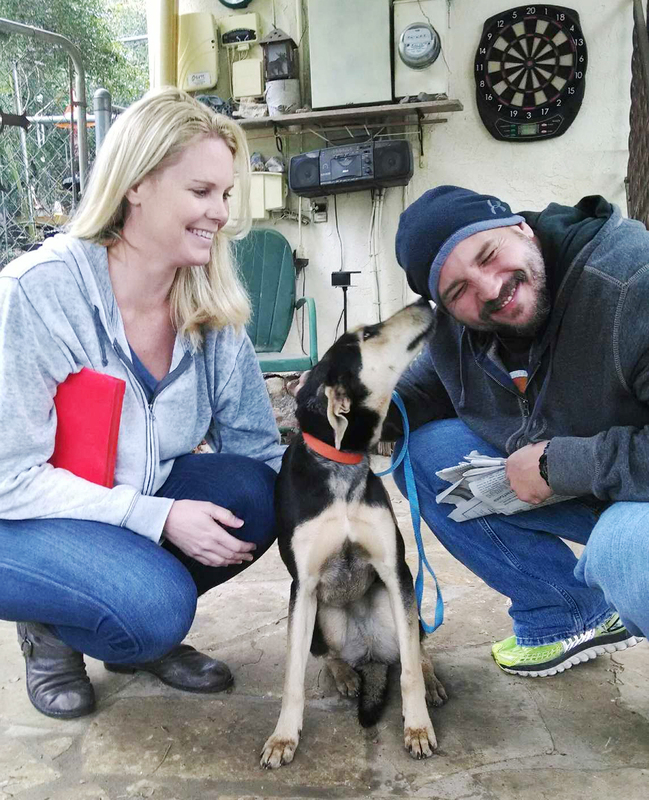 We want to do everything to help this family who opened up their home and heart to a dog without a home. And now it’s our turn to help them. 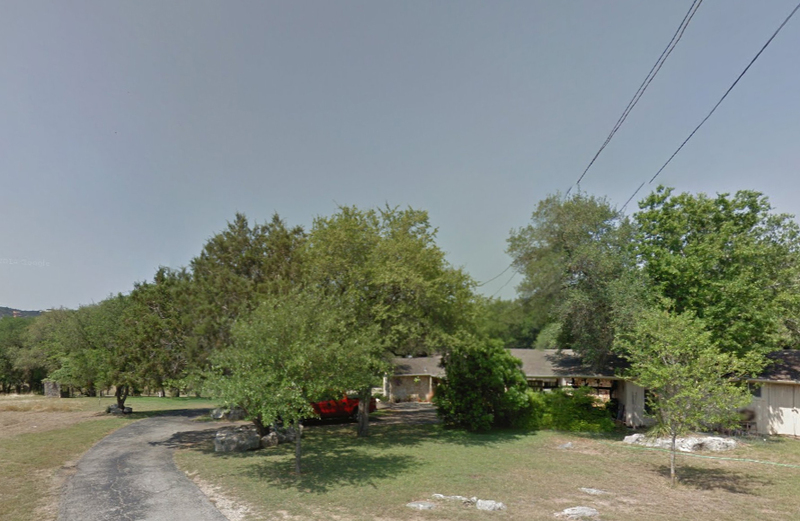 Gayle and MIke’s home, tucked into trees, was located right off the Blanco River banks. Cat Adoptions are on the Rise! TAG Director Penny works on updating the old Cat Adoption Center Calendar. The New Braunfels Petsmart store has always been a popular destination for families to visit with their children. 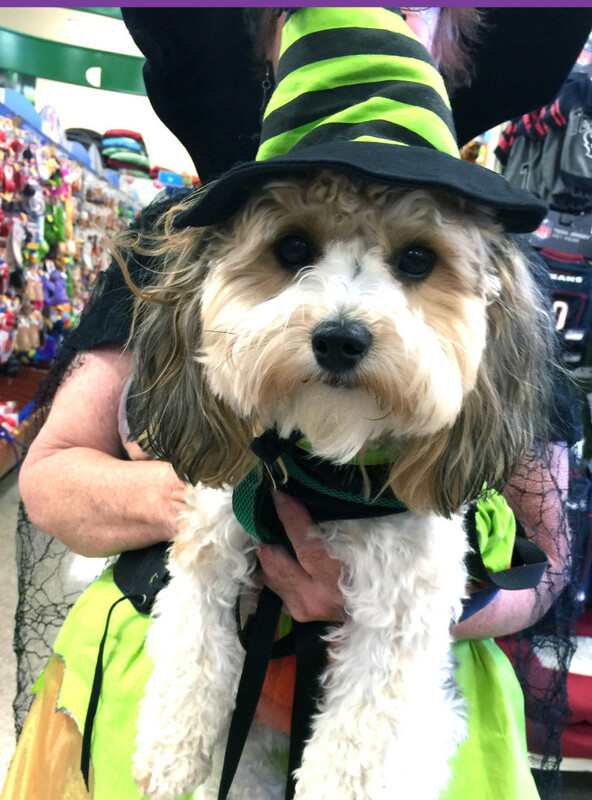 After all, what’s more fun than watching the colorful fish, the lovey birds, the interesting reptiles, the fur-puff Guinea pigs and all the other intriguing small pets the store has to offer? Yet, of all the pet displays that draw the crowds on either weekdays or weekends, the Cat Adoption Center wins paws down. Located at the back of the store, near the fish tanks, the cat adoption center is a showcase of adoptable cats and kittens. The plexiglass windows offer a nice view of the cats, giving everyone a chance to observe them as they eat, sleep and play. On any given weekday and weekend you can find families crowded around the area, peering in at the kitties, who are (for the most part) oblivious to their crowd-drawing appeal. Recently the cat adoption center at the New Braunfels Petsmart store (located at the Creekside Shopping Center) underwent a complete re-vamp. Kennels were taken apart, disinfected, scrubbed clean with disinfectant, from floor to ceiling the center received a total cleaning. This was all in anticipation of receiving a new batch of cats and kittens. Working in conjunction with Canyon Lake Animal Shelter Society (CLASS), Texas Animal Guardians has placed shelter kittens and cats at the center to help boost their cat adoption numbers. After all, CLASS is a local no-kill shelter supported by the community it serves. It seems only fitting that TAG would work hand-in-paw with them to increase cat adoptions. The first new batch of kittens and cats arriving on June 24 consisted of six four-month-old kittens in various colors and coat lengths. Making their debut were two adult cats named Angel and Sherbert. Both adults are very sweet but a bit timid about the new situation. However, the TAG volunteers are helping them overcome their reservations. Angel even decided she wanted to venture out of her kennel and do a little exploring. Of course, the kittens are completely unaware of the change in their surroundings. Instead they are delighted to stretch their legs in the roomy kennels at the cat adoption center. 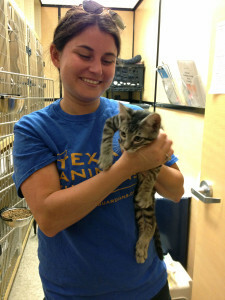 Volunteer Jessi with new kitten at the center. All these sweet babies are spayed/neutered, current on vaccines, have been fully vetted and have received the best of medical care from the CLASS veterinarian, vet techs and staff. Once they are at the Petsmart store cat adoption center they become the pampered “babies” of the dedicated Texas Animal Guardians volunteers. 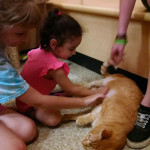 Our volunteers ensure that the center is clean, the kitties are cared for, played with, brushed, loved and well fed. There isn’t a day that goes by when you won’t find one of the TAG volunteers working hard to make the cats’ living quarters as cozy and clean as possible. If cats are your passion then Texas Animal Guardians would like to invite you to sign up and join the growing group of Cat Adoption Center volunteers. TAG is initiating a new program that will feature regularly scheduled adoption times at the cat adoption center. If you are able to offer help on the weekdays from 4 to 6 PM please contact TAG by email at help@texasanimalguardians.org or call/text the TAG volunteer coordinator at (512) 557-2286. 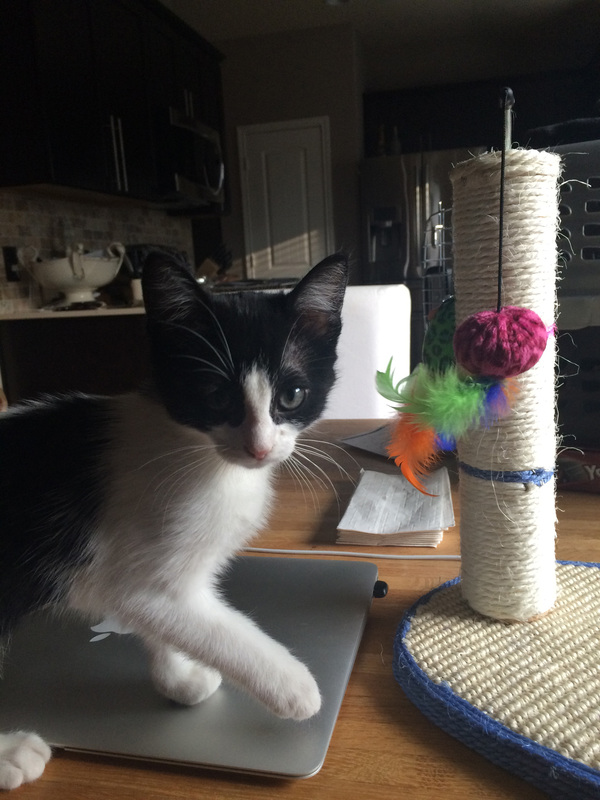 You will be trained to be a Cat Adoption Ambassador! 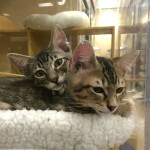 And, if you are seeking a new kitty to add to your family don’t hesitate to stop by the store and see all the lovely kitties that are available. 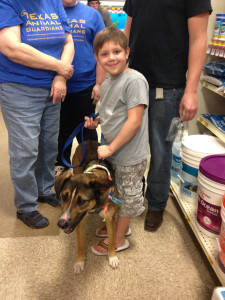 Hayden with his new family. This cat was adopted with his brother. The Big Give S.A.! TAG’s First Year! TAG’s first year! 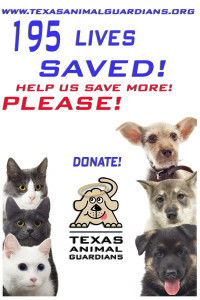 The Big Give S.A.
Texas Animal Guardians is excited about participating in The Big Give S. A. If you haven’t heard about this fantastic event then here’s the scoop: The Big Give S. A. is a 24-hour online donation event that takes place on May 5th only. Donations as low as $10 are accepted. This is a fun way to give locally. As the days countdown to the event pledges are accepted. These pledges help with the anticipated total donations to be received on May 5th. 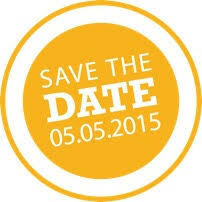 Anyone signing up for the pledge will be emailed a reminder on giving day. 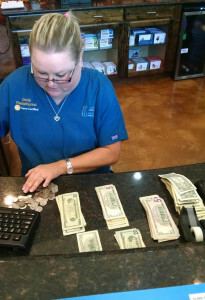 Texas Animal Guardians is looking forward to receiving help from our local supporters. 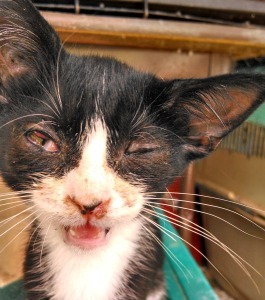 The donated funds will offset the cost of food, medications, veterinarian care and supplies for the kittens, cats, puppies and dogs in our care. 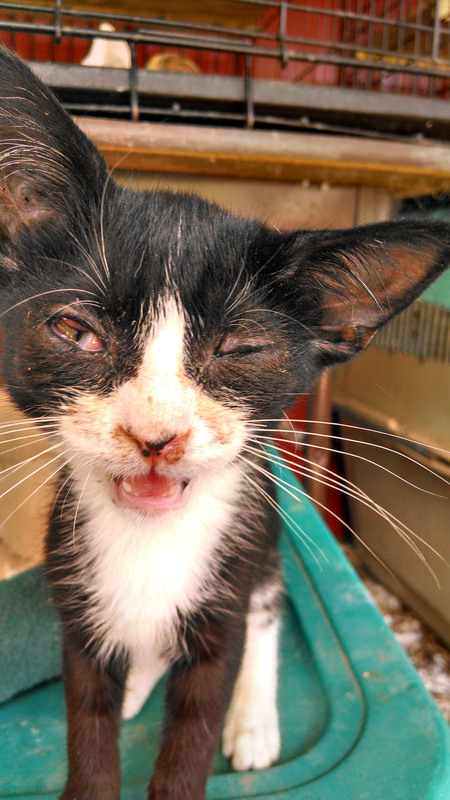 With kitten and puppy season upon us these funds are now, more than ever, necessary to continue providing help for the otherwise helpless pets in our care. We want to thank you in advance for helping to promote this event by sharing it with your family, your friends, your neighbors, your business partners, your church, your civic organizations, your community leaders and even with people you know who live out-of-state. 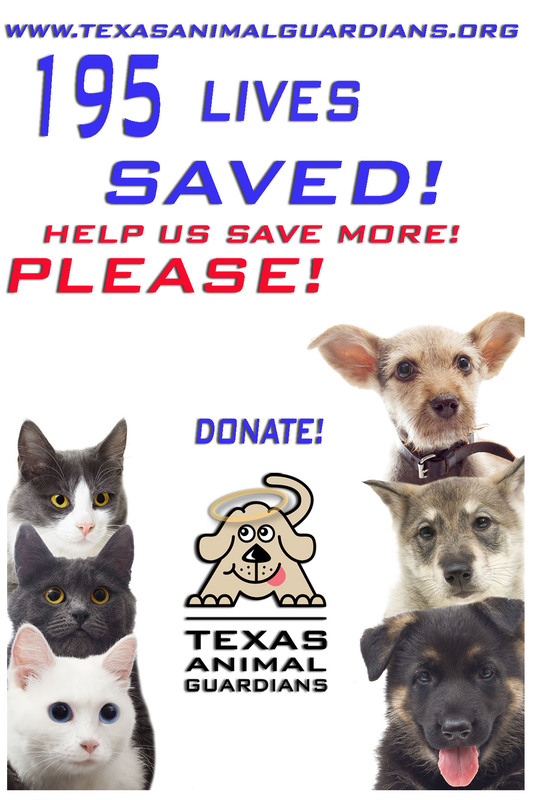 As the much anticipated date arrives, won’t you please take a moment and click on this link to make a pledge to donate to Texas Animal Guardians. This link will take you directly to The Big Give S. A. pledge page. On the actual day of the event — May 5th — please go directly to our The Big Give S. A. donation page. Furry Valentine’s Day Adoption Event! Furry Valentine’s Day! 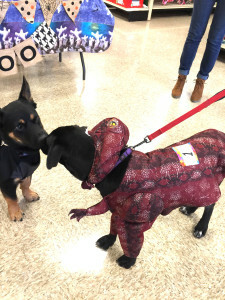 This was one fun adoption event. 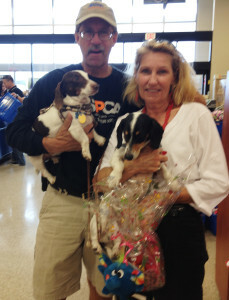 Texas Animal Guardians hosted a multi-rescue-group adoption event at the New Braunfels Petsmart store on Valentine’s Day weekend. 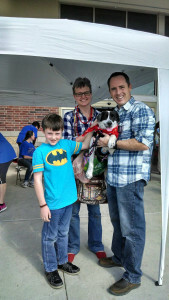 Participating in the festivities were ARF (Animal Rescue Federation) and Homes for Pets. The atmosphere was supercharged and we were thrilled with the turnout. The result was lots of fun for everyone. There were confection sweets in special Valentine’s Day Gift baskets filled with candy and chocolate. 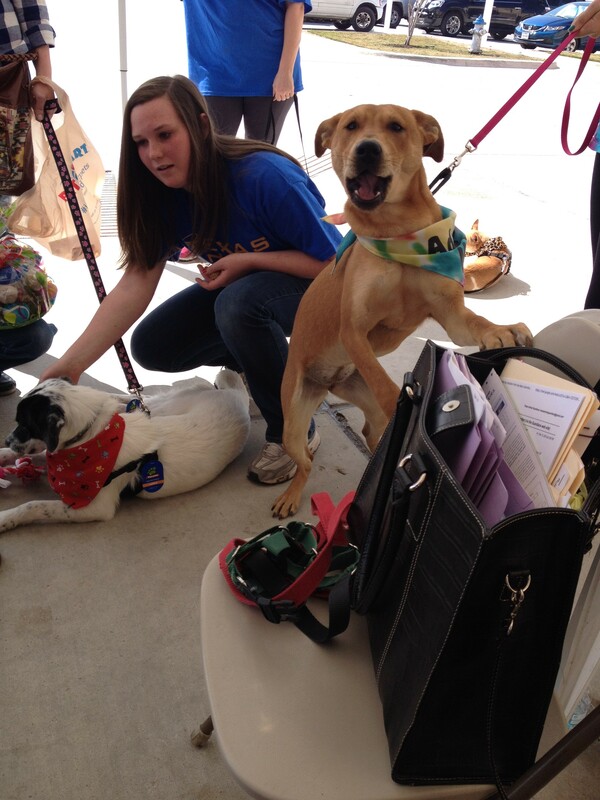 PLUS we showcased the sweetest kitties, puppies and dogs in New Braunfels. What happens when you combine crowds of people with all this furry sweetness? Lots of adoptions! The total count for the entire weekend was 32 adoptions. We are thrilled with this number which more than tripled last year’s number of 10 adoptions. It was heartwarming to see so many wonderful pets get into good homes. A HUGE thank you to all our fantastic volunteers. You are what helped make these adoptions possible. Give yourself an extra serving of Valentine’s Day treats! AND — a bowl full of chocolate kisses to all the fantastic directors of the partcipating organizations for their help and support: Barbara with ARF, Josie with Homes for Pets and Penny with Texas Animal Guardians. A red ribbon thank you to Laura, CLASS volunteer dog trainer, for her tremendous help in coordinating CLASS volunteers for this event. And an extra serving of Valentine’s Day treats to Amber and Angie of CLASS for their support and assistance. Adoption Weekend a HUGE Success! As Thanksgiving approaches the Texas Animal Guardians team has a lot to be grateful for. 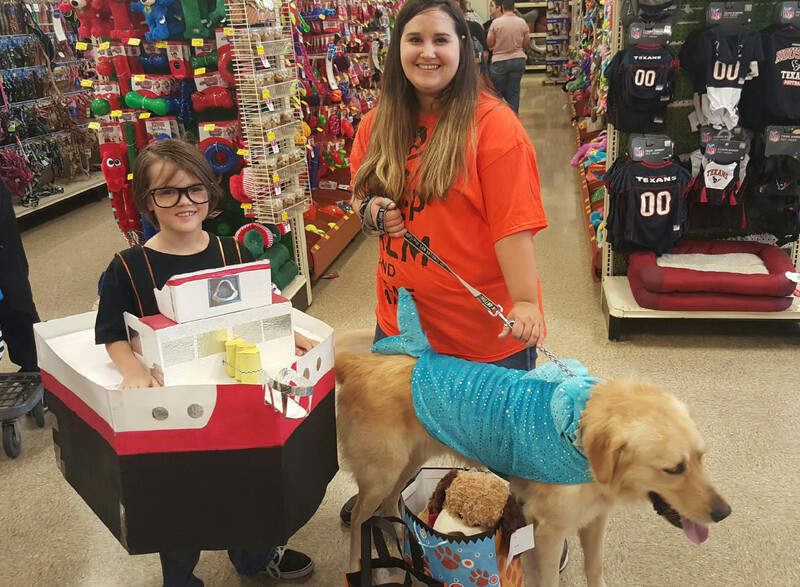 We certainly want to pause and give thanks to Petsmart Charities and everyone who participated in this past weekend’s adoption event. 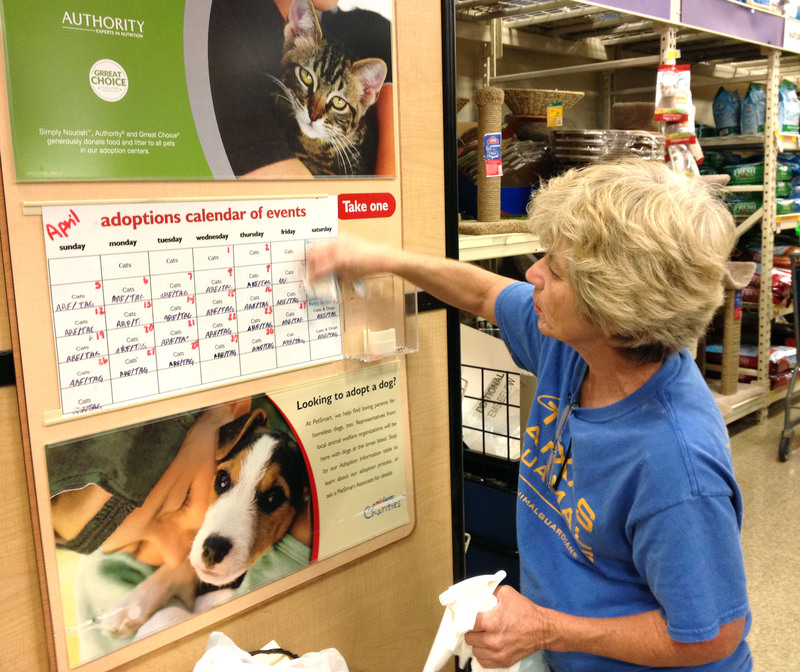 This is the last Petsmart Charities sponsored National Adoption event of the calendar year. 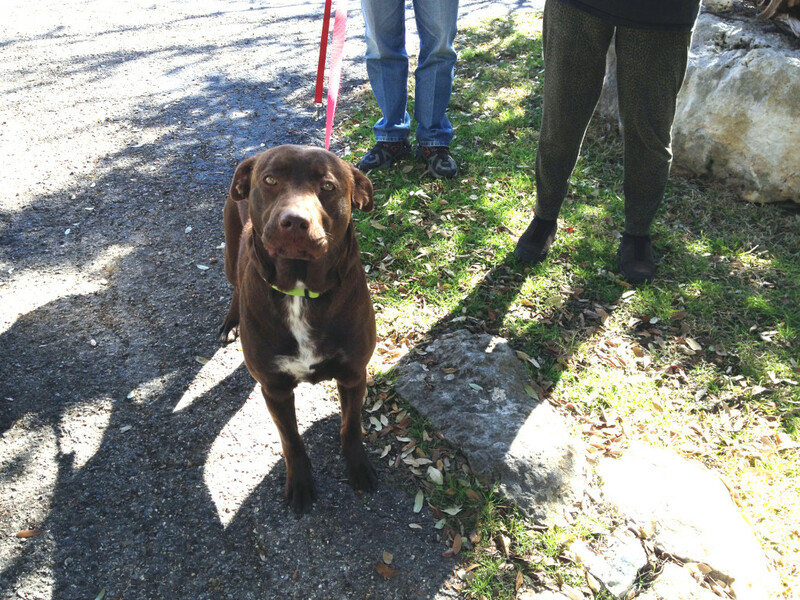 (Texas Animal Guardians will continue with their regularly scheduled weekend adoptions.) 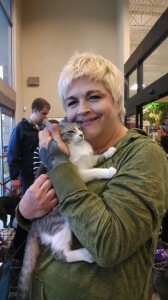 Everyone worked hard to make this adoption weekend a huge success, from the Petsmart store staff, to the wonderful volunteers who gave up their weekend to help out. Thanks to this team effort a dreary, cold winter’s weekend was turned into a warm-fuzzy, happy ending for twenty-two of the Texas Animal Guardians/CLASS dogs and kitties. There was quite a flurry of activity inside and outside the store. 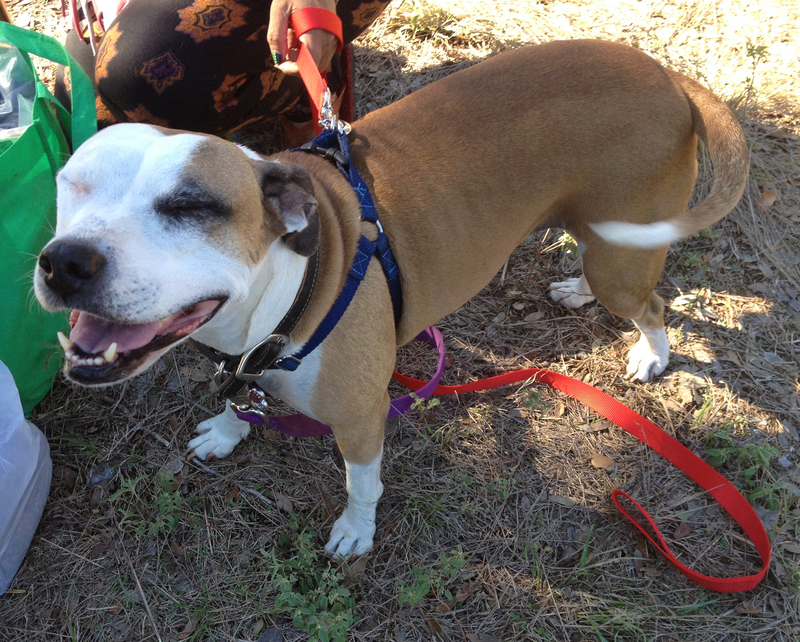 For many of the CLASS shelter dogs this was their first time at an adoption event. Some were a bit shy. Some were wary. Most acclimated to the hubbub quickly. Others were just little hams, lapping up the attention. While the dogs got to parade around outside or inside, cats received a front-row seat at the window area. Their sweet furry faces peering out of their crates were an immediate attention grabber. 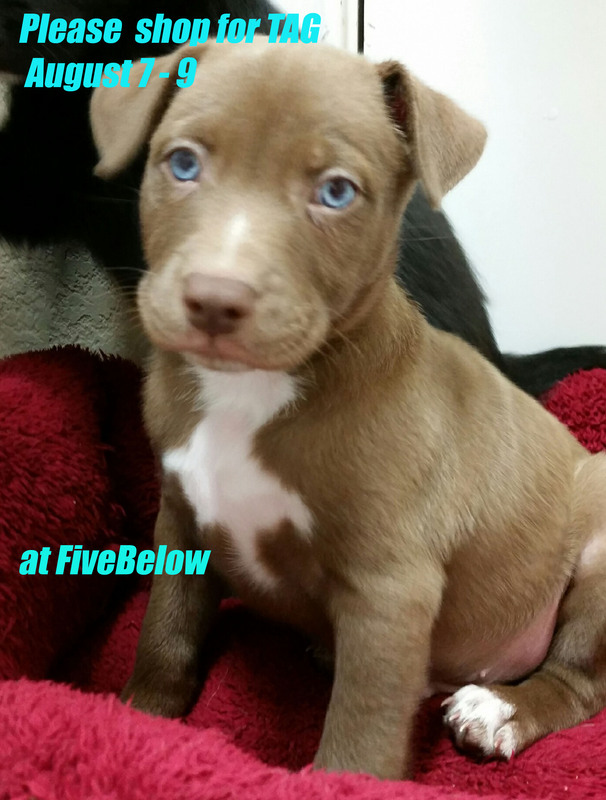 Speaking of attention grabbers, CLASS volunteer Laura, brought in six adorable little pups. There were three min-pin girls and three bully pups, (one boy and two girls). It was a veritable puppy delight! The puppy pen was strategically set up at the store’s entrance. Everyone entering the store had to stop and check out those little sweeties. After all, who can resist a puppy? Amidst the oooohhhhs and aaaaaaahhhhhhs there were some serious companion seekers. Some knew immediately when they’d found their soul mate. They grabbed onto their new baby and started the adoption process. Some went home to think about it. 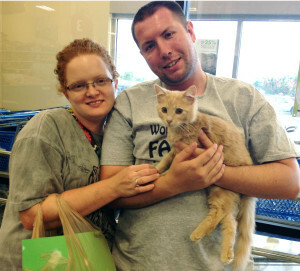 The next day they were back to claim their “baby” and finalize the adoption. 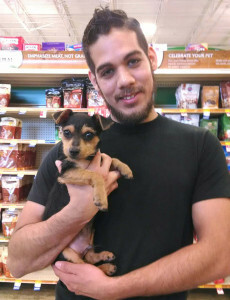 Many potential adopters snapped photos of fur babies that caught their eye. 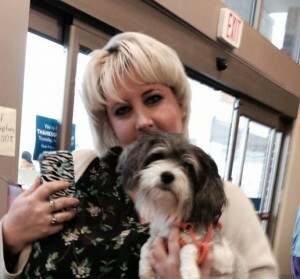 Sharing photos, texting, talking and conferring with those at home helped clinch the adopter’s decision. 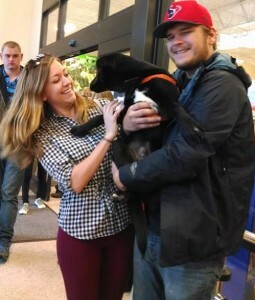 After decisions were made adopters took their new family member on a shopping spree. It was an early Christmas for these furry babies. 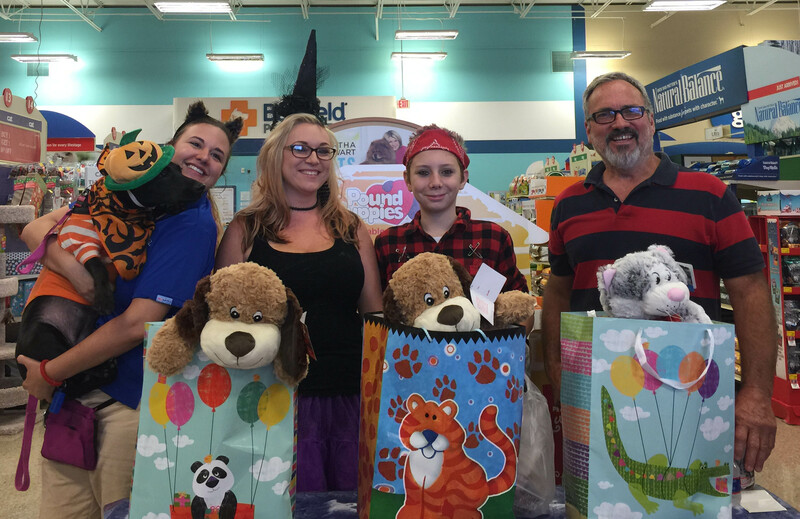 Shopping carts were filled with fluffy beds, colorful toys, delicious food and yummy treats. Then it was off their new homes and a new life! 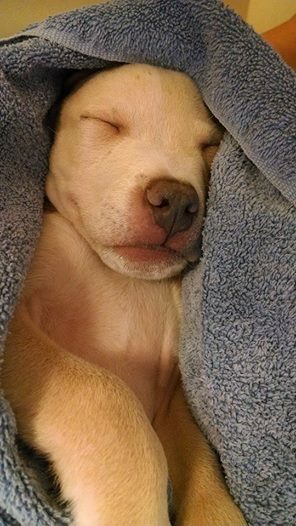 November National Adoption Weekend is Here! 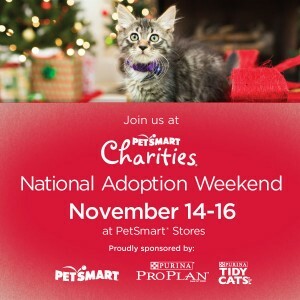 The November Petsmart National Adoption Weekend is Here! The November National Adoption Weekend is this weekend! This is the last Petsmart Charities adoption event of the year. We hope to close the final quarter of 2014 with an event total of 40 adoptions. Several groups are participating so there’s going to lots to choose from. 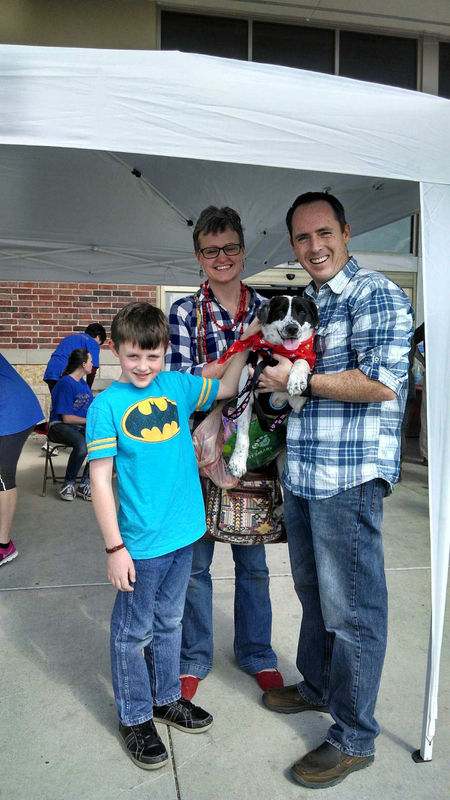 The National Petsmart Charities adoption events are a terrific opportunity to spend time with your family while meeting and greeting a possible new family member. If you are thinking of adding a furry member to your family, now is the time. Texas Animal Guardians will team up with Canyon Lake Animal Shelter (CLASS) to bring you the cutest, the sweetest, the most adoptable variety of dogs and cats you’d ever hope to meet. 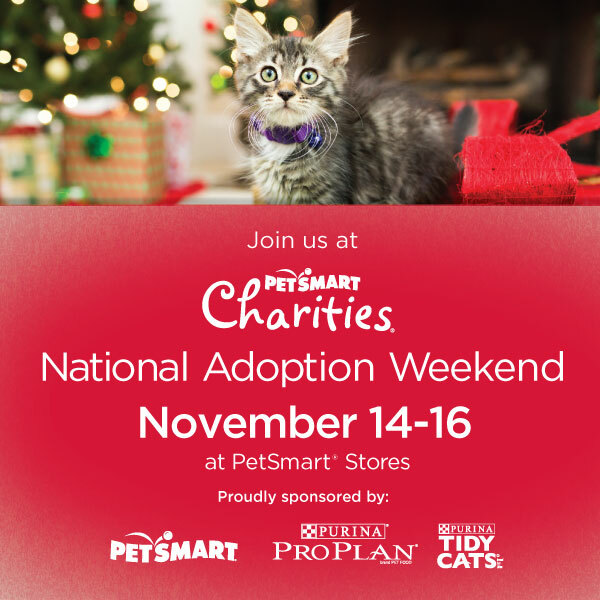 The Petsmart Charities sponsored National Adoption Weekend will be held from November 14-16. 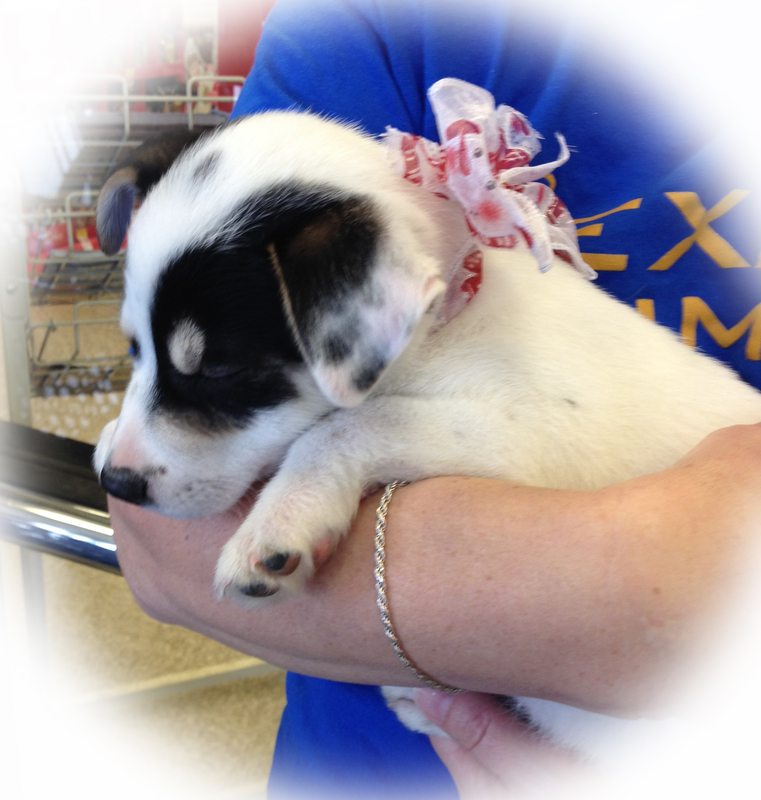 Texas Animal Guardians is an approved animal rescue agency at the New Braunfels, Texas Petsmart store. 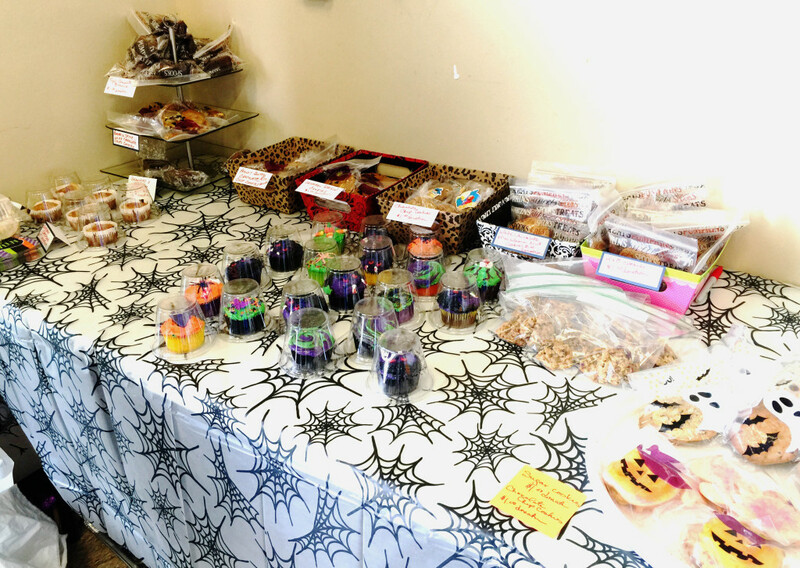 This store is located at 315 Creekside Way, New Braunfels, Texas 78130. For additional information on our group or another group’s schedule please contact the store directly at (830) 620-7738. Several groups will be participating! Each precious fur baby at this adoption event will be spayed/neutered and current on their vaccines. All you need to do is bring them home. Once you have them home it will be a blooming good time for all. Just shower that fur baby with lots of love and watch how your new “baby’s” personality will blossom. There’s just nothing more powerful than love to bring out the best in these pets. While you are at the store you can purchase all the necessary items for your newest addition, from accessories to food to treats and don’t forget the nice fluffy bed! These National Adoption Weekends are a sure way of having family fun. Bring the kids, bring grandma and grandpa and let’s go adopting!